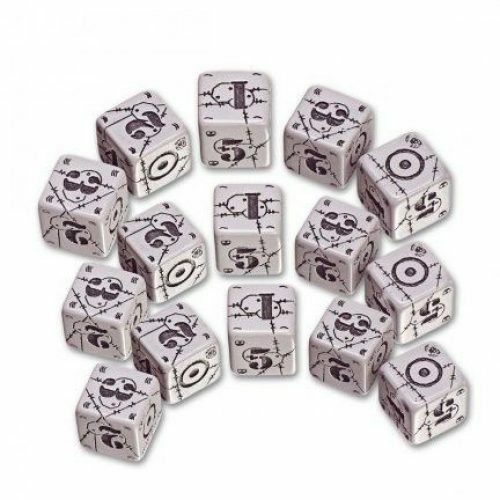 DungeonMorph Dice consist of 5 dice with six different designs per die. 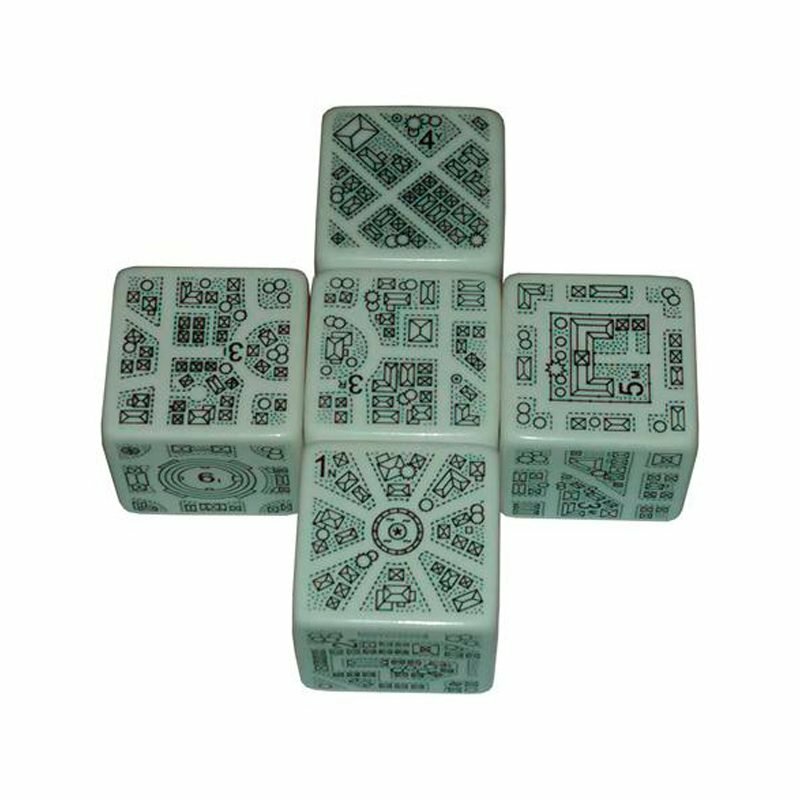 This set has part of a city design on each side of each die. 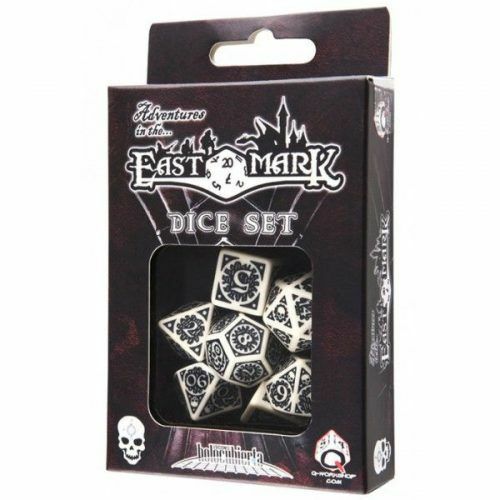 The designs are engraved into these nearly 1″ cubes. 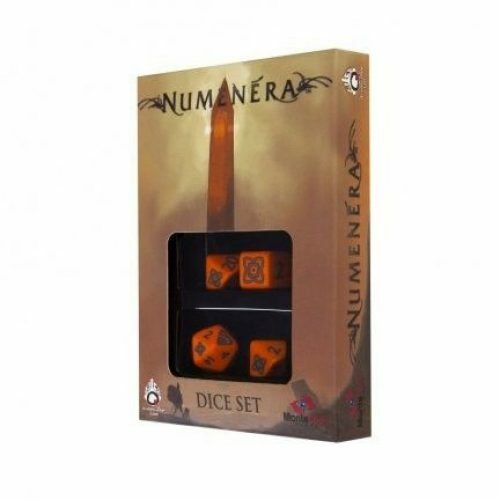 Grab some dice to roll a city-on-the-fly. 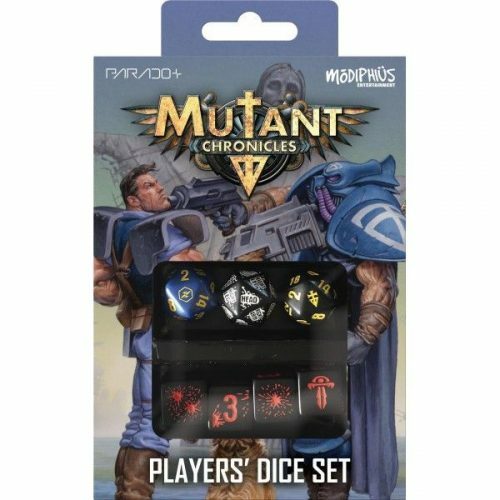 Or use them as inspiration when designing a city.